"Thanks for the good work in producing a consistently interesting and useful magazine"
The Japanese garden tradition is by no means a stagnant art form. It is continually evolving, and it often pops up in surprising ways. This is especially true in Western countries that don't feel bound by Japanese tradition. For example, one of the most exciting applications of Japanese gardens can be seen in naturalistic swimming pools (see photo, right). Naturalistic swimming pools are ordinary inground swimming pools dressed up to look like water gardens. On the surface, these water features look like beautiful Japanese water gardens, with elements such as pond waterfalls, garden stepping stones, and handsome stone water features. Underneath, however, is some serious engineering. Air-entrained concrete, waterstop, and advanced filtration systems are all commonly seen in high-end naturalistic pools. The combination of Japanese garden aesthetics with modern swimming pool design produces a living environment that is truly functional and stunningly beautiful. Not only can Japanese gardening influence swimming pool designs, the reverse is also true: Luxury swimming pools can teach us some things about high-quality water garden and koi pond construction. The swimming pool industry has, after all, pioneered structural advances such as shotcrete and gunite. It has incorporated technology previously seen only in dam and bridge construction and applied that technology to outdoor water features seen in our backyards. It only makes sense that koi and water garden enthusiasts would look to the swimming pool industry for lessons about concrete pond construction and waterfall construction. SWIMMING POOL CONSTRUCTION These articles are oriented toward swimming pools structures. The homeowner might not notice these things, but the engineering that goes into a high-end vessel is critical to its success. SWIMMING POOL LANDSCAPING These articles discuss various plants and techniques used to create beautiful gardens around swimming pools. SWIMMING POOL HYDRAULICS Hidden from view are the pipes, pumps, and filters that keep a pool alive and working properly. Even the most beautiful pool waterfalls can not succeed without clean, healthy water systems. SWIMMING POOL AESTHETICS Why do some naturalistic pools look wonderful while others look tacky and obviously artificial. 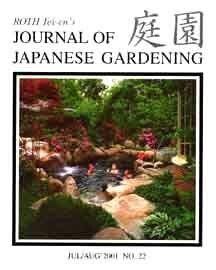 These articles examine water-related natural patterns and Japanese garden aesthetics. GEOTECHNICAL ISSUES A concrete swimming pool rests in and upon the earth. Some sites offer well drained soil that is essentially problem-free. Other sites have shifty or expansive soils that can lift a pool out of the ground and crack it in half. 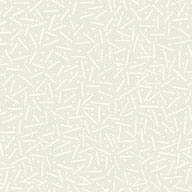 These articles explain how to get the geotechnical things right.